Our range of products include instant time saving tube fittings, quick release couplings, small coupler, camlock couplings, push on fittings and compression fittings. With the assistance of our highly qualified and experienced professionals, we are engaged in offering Instant Time Saving Tube Fittings. This tube fitting is used in fuel lines for petrol or diesel fuel in automobile and transport industry. 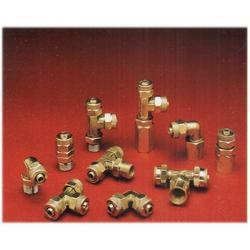 Our offered tube fitting remains in great demands across the industry due to its excellent quality. We manufacture this tube fitting using sophisticated techniques and high quality material in adherence with the set norms of industry. 4mm, 6mm, 6.35mm, 8mm, 10mm and 12mm OD NYLON TUBINGS. 1/8", 1/4", 3/8", 1/2" BSP, NPT & BSPT. Compressed air lines on pneumatic control systems. Lubes and air lines on textile machinery. Agricultural spray equipment for insecticides and fertilizers. Transporting lines for alimentary liquids such as milk and beer and biological liquids such as blood, serum etc. Being a well established-organization, we are engaged in manufacturing and supplying Quick Release Couplings. The offered coupling is developed with the help of top quality material and modular techniques in compliance with set industry standards. This coupling is used for automobile, engineering, mining, chemical & pharmaceuticals industries. 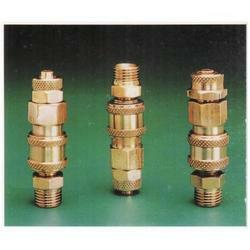 Clients can avail this coupling from us at nominal price in a stipulated time. Mild Steel Chromium Plated, Brass, S. S. 304 & S.S. 316. For Automobile, Engineering, Mining, Chemical, Pneumatic & Hydraulic, Textile, Fertilizer, Petroleum, Furnaces, Machine Tools, Marine, Aerospace, Refrigeration, Instrumentation & Pharmaceuticals Industries. With a precise understanding of the relevant industry, we introduce ourselves as the leading manufacturer and supplier of Small Coupler. Our offered coupler is acknowledged among customers for its superior quality. This coupler is manufactured under the visionary guidance of experts utilizing finest grade material and latest techniques in conformity with set industry norms. Besides, offered coupler is properly checked on different quality parameters assuring its excellence at customer’s end. Being the most respected organization guided by experienced and knowledgeable professionals, we provide Camlock Couplings. 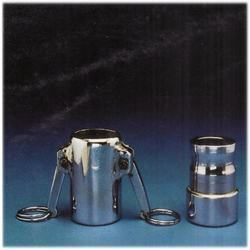 This coupling is available in different specifications as per the needs of customers. 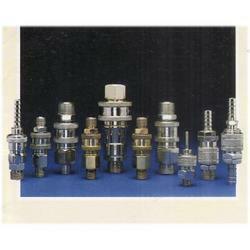 Our offered coupling is valued in the market for its fine finish. The offered coupling is manufactured under the supervision of experts utilizing superb quality material and advanced tools in adherence with prevailing market trends. Fertilizers, chemicals, petroleum, textile machines, pharmaceuticals, post trusts and dockyards, dairy food processing, brewing, ink, paint & vernishes dyces etc. industries. Mild steel chromium plated brass, S.S 304 & S.S. 316. 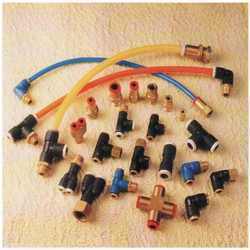 We offer Push on Fittings for Instrumentation & Pneumatic Control Systems, which are manufactured using high quality brass procured from reliable and trusted vendors of the industry. These fittings are tested on the parameters of dimensional accuracy, strength and reliability, ensuring that a flawless range is delivered in the national as well as international markets. 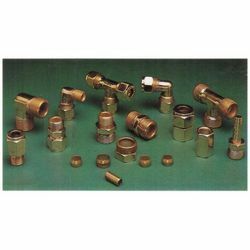 Compression Fittings We supply a broad range of compression fittings including brass compression fittings, Brass compression fittings available in various types single ferrule double ferrule. Materials: Brass, S.S 304, S.S 316. 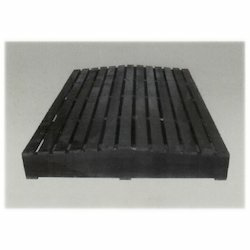 We manufacture pallets from high quality wood. These are suitable for handling pharmaceutical products as well as food grade products. The materials are generally stored in boxes and bags. Looking for Fittings and Flanges ?